Sezai Kocabıyık was born in Bulgaria. He learned how to play the piano and the flute in his childhood. He started learning the oboe at the age of 12. In 1989, he moved to Istanbul with his family and continued his music study at Mimar Sinan University State Conservatory, where he graduated in 1996. In the same year, he received the first prize in the Youth Musician of the Year Contest, which was held by British Council and received a grant to pursue his Master′s degree at Manchester Royal Northern College of Music. 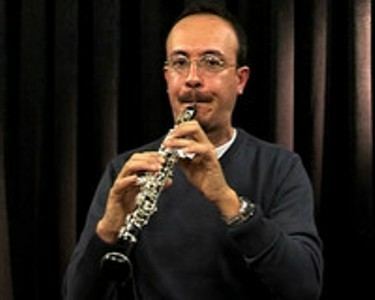 Kocabıyık currently performs in the Istanbul State Symphony Orchestra and teaches at Mimar Sinan University State Conservatory. In addition to the Istanbul State Symphony Orchestra, he has performed with various orchestras such as Borusan Istanbul Philharmonic Orchestra, Cemal Reşit Rey Symphony Orchestra, and Akbank Chamber Orchestra. He is a member of Octagon Wind Orchestra.